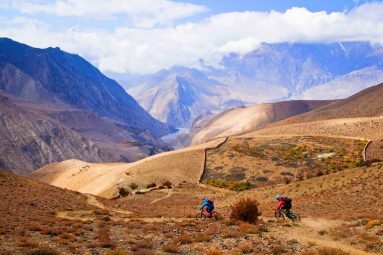 Bike tours are designed to take enthusiastic bicyclists into the remoteness of Nepal on Mountain bikes, on easy stretches, all the time accompanied by a coach, a mechanic and a guide. Please write us so we shall get back to you promptly with few itineraries for your consideration. Nepal is one of the most mountainous areas of the world. Kathmandu, the Capital lies within a large valley and offers Nepal’s best mountain biking, it’s small enough to become familiar with, yet large enough to get lost in, making it ideal mountain biking adventure country. We stop at the best locations for viewing the mighty Himalayas from Kathmandu valley’s northern rim. From various vantage points, we can see Dhaulagiri in the west round to Everest in the east, so you won’t be missing what is arguably the world’s finest mountain scenery. 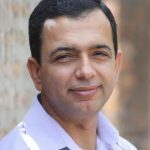 The valley is also the historic center of Nepal, the place where the kingdom’s rose and fell.The place where palaces & temples were built and rebuilt and Nepalese art and culture were developed and refined. Mountain Biking is a fast way to see rural Nepal. Nepal’s extraordinary contours and numerous tracks and trails make it an ideal place for mountain biking. You not only climb up and down challenging mountain roads but also have wonderful opportunity to admire the magnificent scenery around. You can ride through rice fields, bike to the Terai towns or test your mountain biking skills by traveling to Mount Mera with your bike. The mountain biking possibilities and streets are “endless” in Nepal. There are many mountain mud tracks that have created a paradise for the action biker. A classic off-road adventure is the 70-km Scar Road that starts from Balaju to the west of Kathmandu city, traverses the hill resort of Kakani, Trisuli bazaar, and Shivapuri, and then descends back to Kathmandu. Another route is the two-day circular tour to Dhulikhel to the east of Kathmandu. You can combine this ride with a visit to the ancient townships of Bhaktapur, Namobuddha, and Panauti which lie en route. Yet another possibility is the 75-km ride on the adventurous, hair-raising Tribhuvan Highway to the hill resort of’ Daman southeast of Kathmandu that offers even tougher challenges. 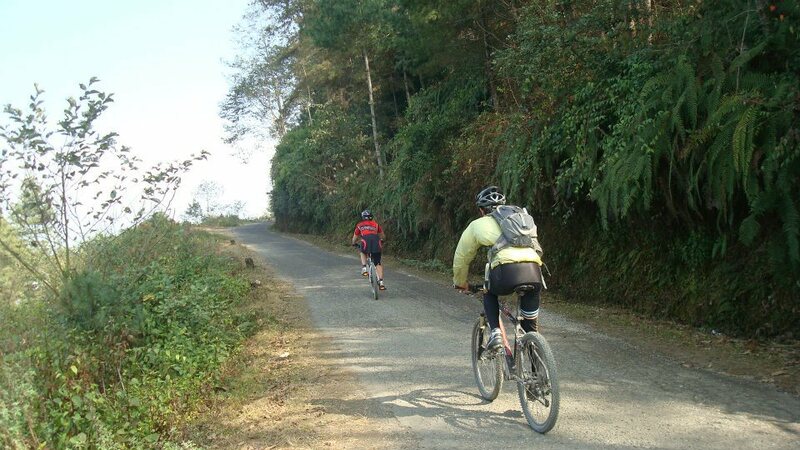 Kathmandu Valley RIM Biking: A cleaner escape from bustling city.